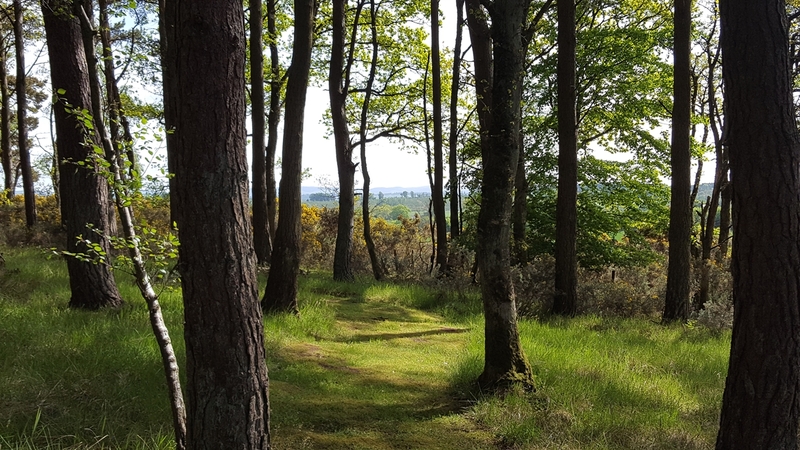 Nestled away in a charmingly secluded woodland setting, Pitlandie Wood Lodge provides luxury accommodation with wonderful views of rural Perthshire. 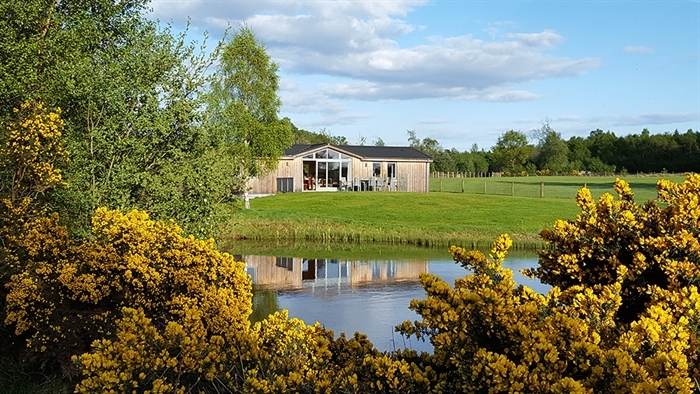 It offers an excellent retreat for those seeking peace and tranquillity that is only 15 minutes from a city and being located in central Scotland, its also a good base from which to explore the rest of the country. 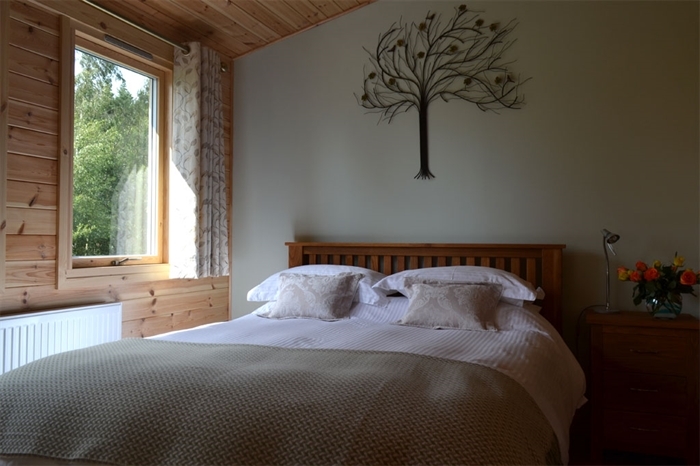 Our unique features at Pitlandie Wood Lodge are the total seclusion in a stunning setting with panoramic views accross to the mountains. 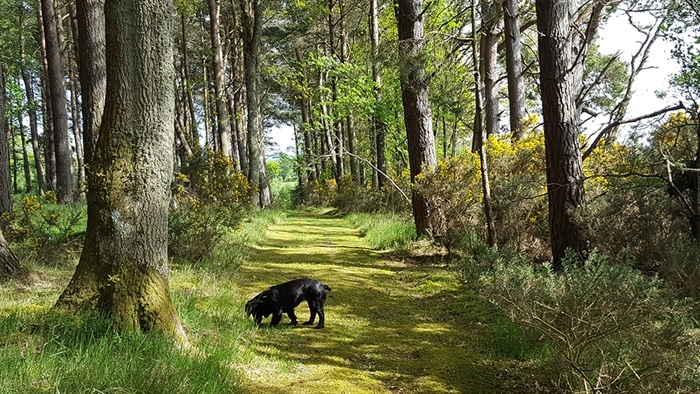 A sanctuary with numerous private woodland walks and an abundance of wildlife. 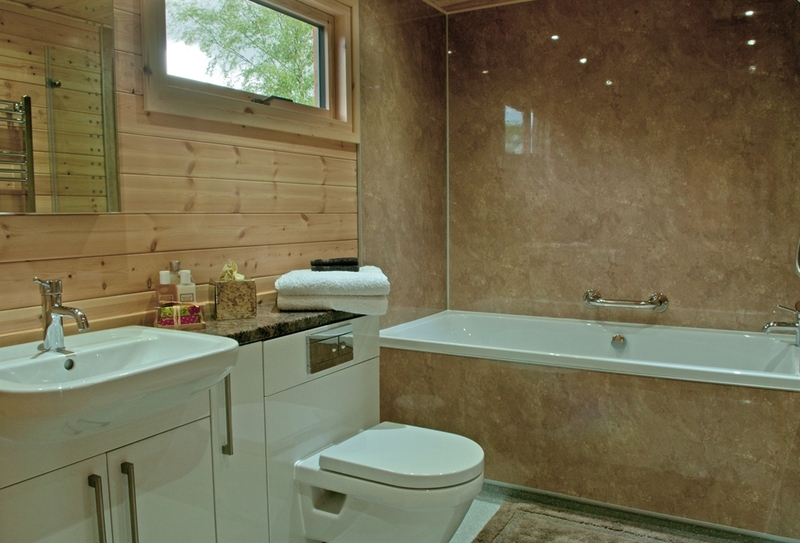 The lodge is bespokely designed to a very high standard oozing luxury with a spacious wet room and STEAM room to relax in. 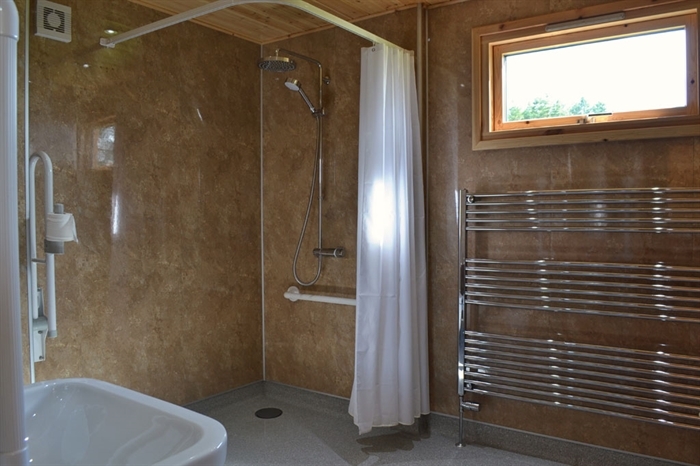 Internally it is equipped with all mod cons and externally the large deck looks out onto a pond and acres of private ground. 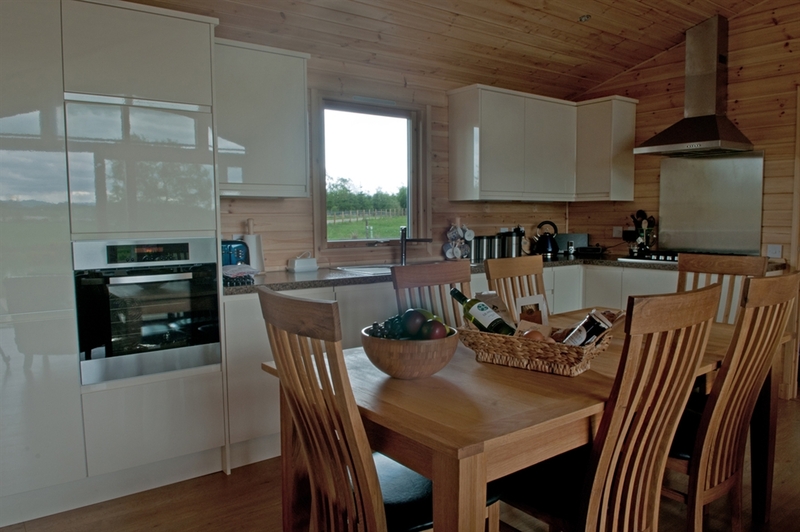 The lodge is located half a mile from the public road and 300 yards from the nearest neighbour (the owner). 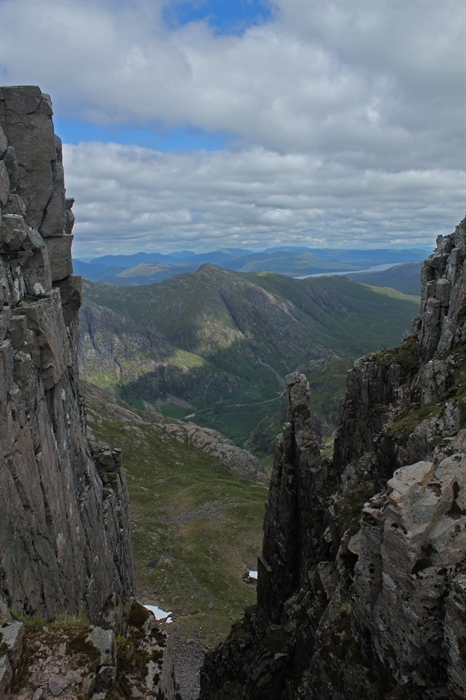 Awarded 4 STAR QUALITY ASSURANCE AWARD by Visit Scotland. 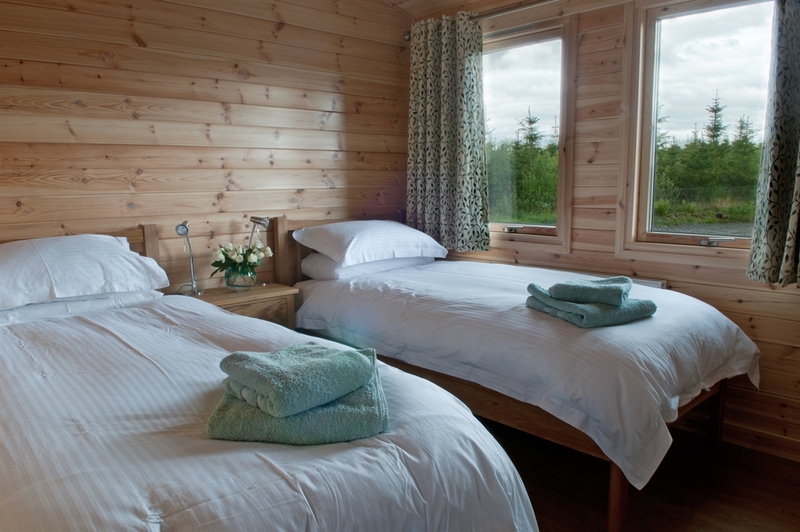 Also many EXCLUSIVE DEALS available for Pitlandie Wood Lodge guests. 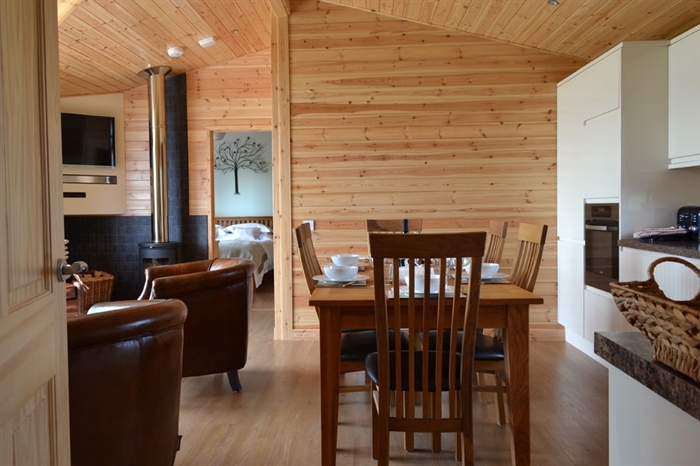 Pitlandie Wood Lodge offers contemporary accommodation for six adults or a family with children and a dog. 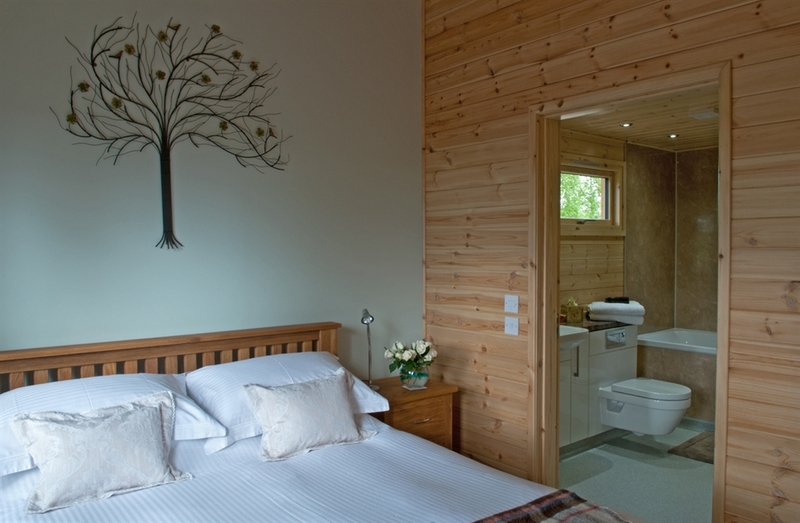 The Lodge comprises of three bedrooms, one king size with an en suite bathroom, a double and a twin bedroom. 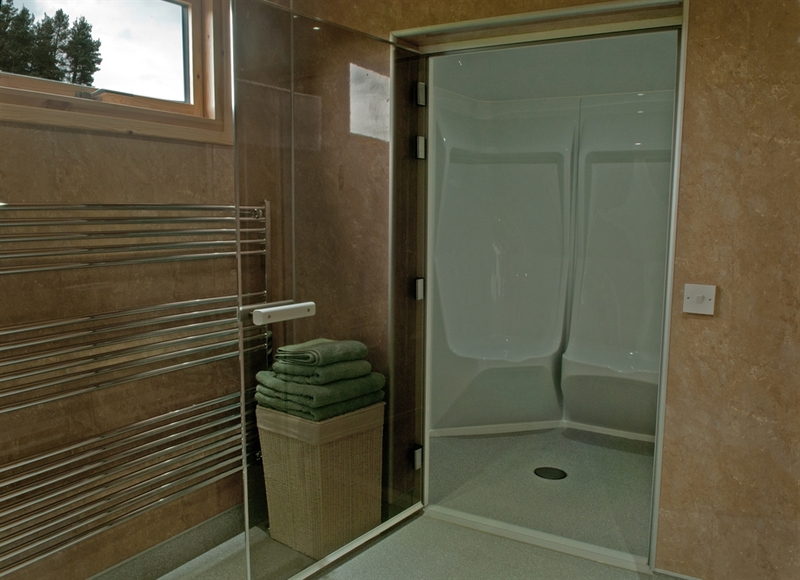 There is a wet room from which access is taken to the steam room. 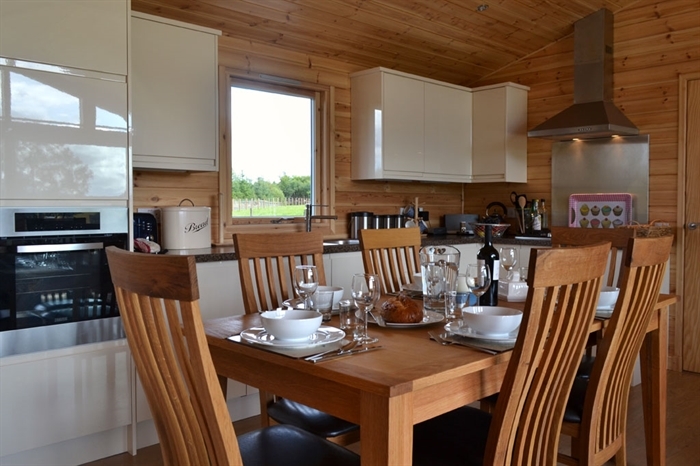 An open plan kitchen/dining room is equipped with all modern appliances including a fridge/freezer, gas hob, electric oven, microwave and a dishwasher. 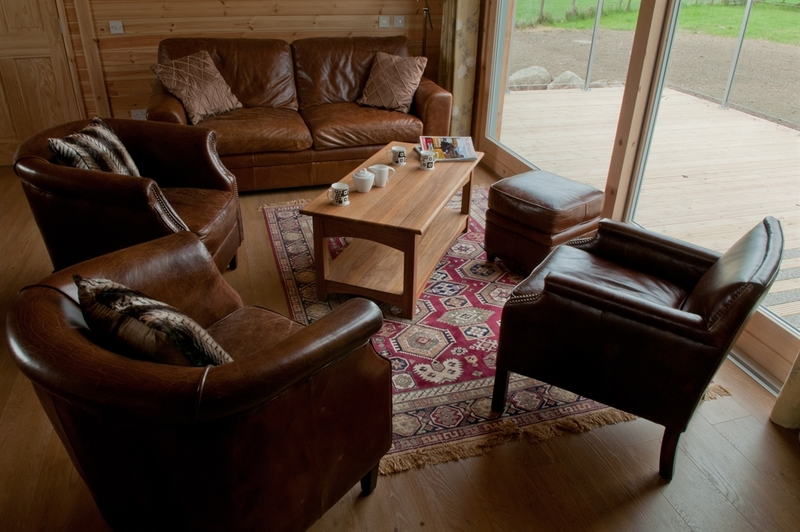 The sitting room offers all the comforts from home. 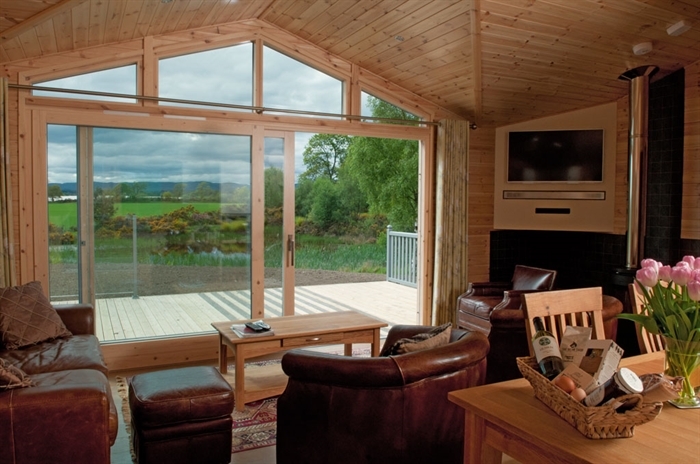 For entertainment there is a 42" TV with sky viewing, DVD player and for the music lover's a portable docking station. 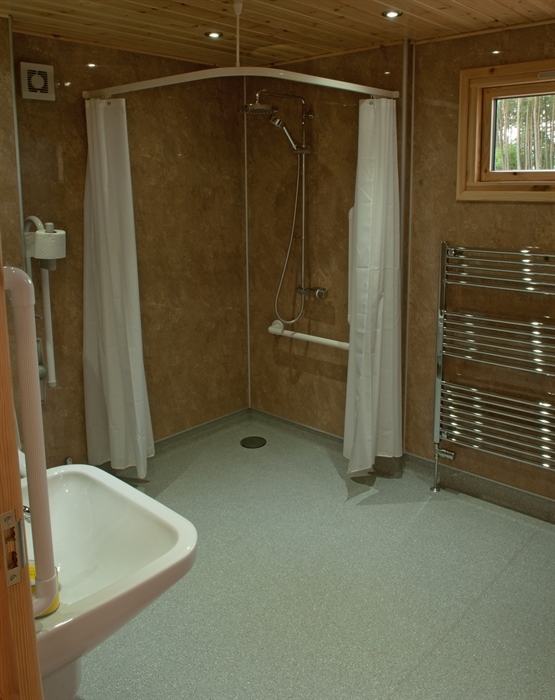 Broadband and Wifi are also available. 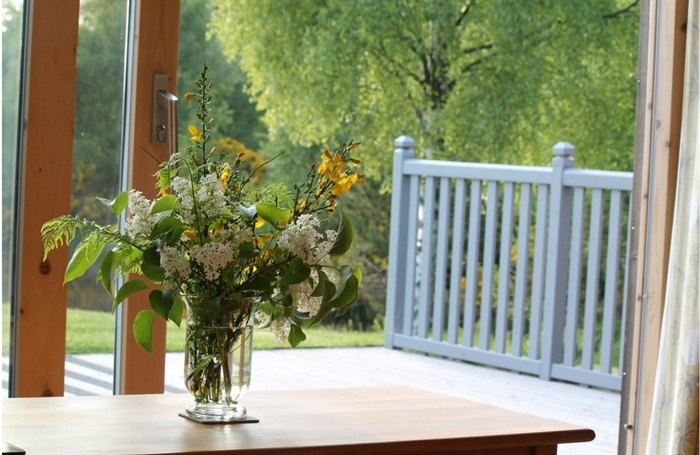 Sliding doors open out onto a large deck where there are garden table and chairs and sun loungers. 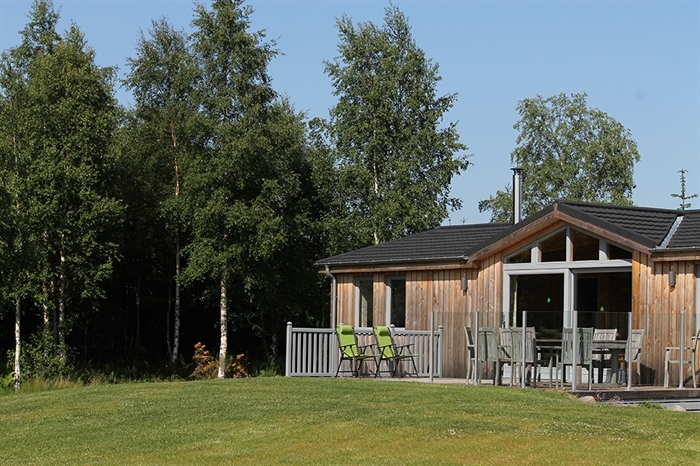 Here you can sit and enjoy nature at close quarters in the tranquility of your own private grounds and woodland. 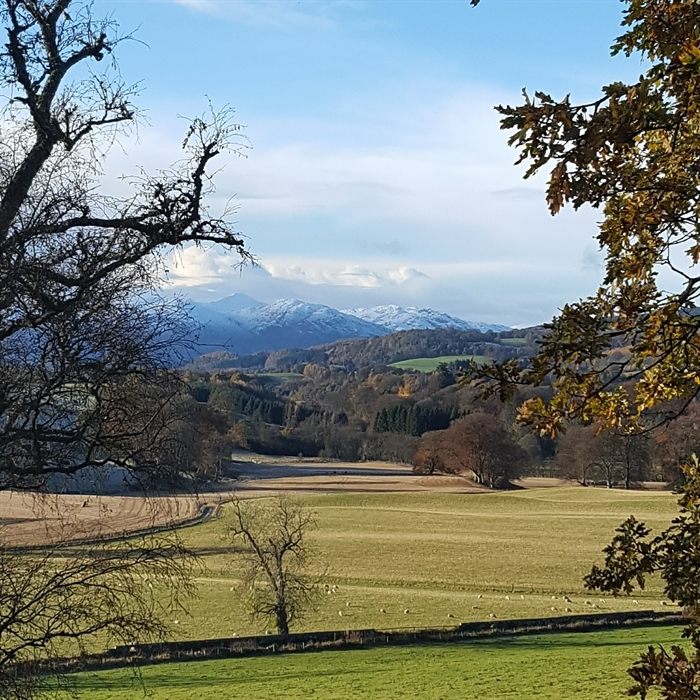 There are stunning views across the pond to the mountains beyond. 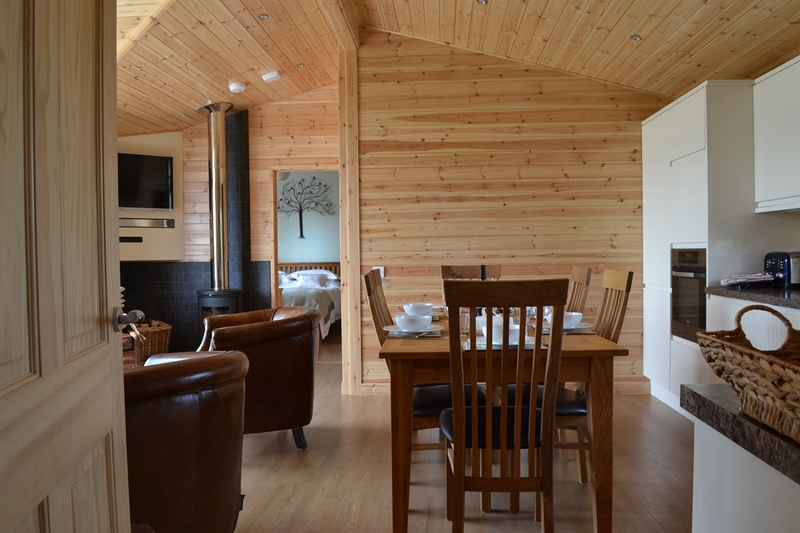 The Lodge has gas central heating and a log burning stove for extra warmth. White linen and towels are provided.